Q: What would happen if someone with an ugly history of spreading falsehoods and fabricated quotes is invited onto an NPR-affiliated, Chicago-based public radio program? A: A whole lot of Chicagoans would be lied to — what else? It should have been clear to Jerome McDonnell, host of WBEZ’s Worldview, that by inviting the notoriously inaccurate anti-Israel activist Max Blumenthal, he was inviting a barrage of falsehoods. The history of deceit is all on the record: Blumenthal lied, for example, when misquoting Zionist founding father Chaim Weizmann. He lied when claiming Israeli Prime Minister Benjamin Netanyahu praised the September 11 attacks. He lied when falsely attributing a statement to Ariel Sharon. He lied when misquoting CAMERA. He lied about supposed Zionist collaboration with Nazi Germany. He lied about Israel opening dams to flood the Gaza Strip. He lied about Israeli Bedouin; about a Netanyahu-backed “Jewish state” law; about Israeli funding for a radical NGO; about Israeli support for a Palestinian state; and about the expulsion of 750,000 Palestinians. 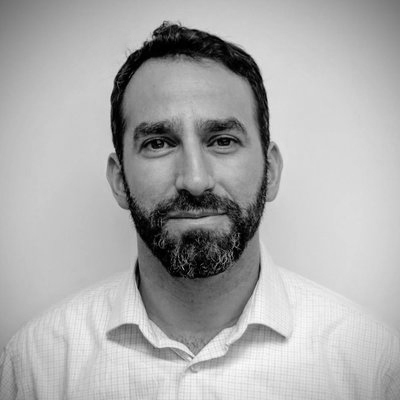 So why wouldn’t he lie, on Chicago public radio, about the 2014 war between Hamas and Israel? Below, in chronological order, are some of Blumenthal’s falsehoods on the Sept. 21 edition of Wordview. Beit Hanoun was a hub of Palestinian rocket fire against Israeli towns before and during the 2014 war, and was certainly subject of severe Israeli counterfire meant to stop the Palestinian attacks. CAMERA’s BBC Watch has noted, and Blumenthal of course ignored, that “of the 3,356 missiles fired at civilian targets in Israel by terrorists in the Gaza Strip between July 8 and Aug. 5, 2014, 69.4 percent were fired from the northern part of the territory with the towns of Beit Lahia and Beit Hanoun being major centers of missile fire, cross border tunnels and other terrorist activity.” Israel made clear that it targeted many of the sources of that violence. But Blumenthal did more than just ignore context. He falsified the numbers. 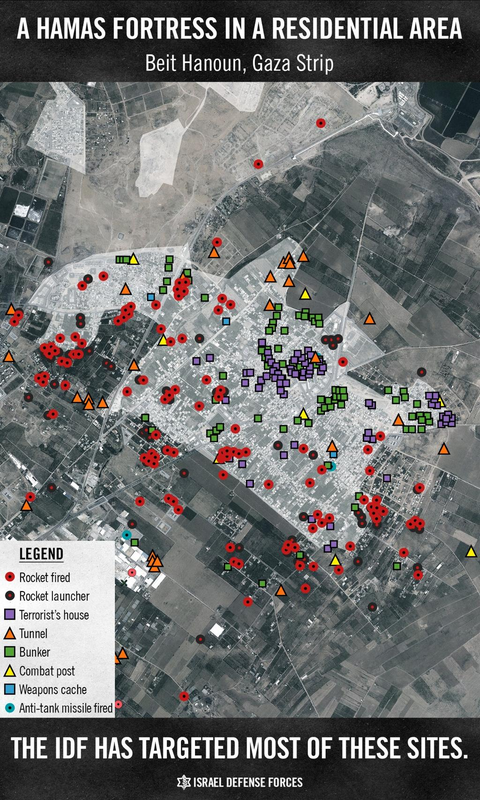 According to one United Nations analysis of satellite images, the fighting in Beit Hanoun led to “301 destroyed, 302 severely damaged and 350 moderately damaged buildings.” Although the authors of the report used hyperbolic language that echoed the language used by Blumenthal, the report’s data make clear that “almost every building” was not destroyed. In fact, less than a third of the estimated 1000 buildings damaged during the war were destroyed. And that figure does not take into account an additional number of unaffected buildings. A separate UN study reached similar conclusions, stating that 41 percent of the damaged structures in Beit Hanoun were “fully” damaged while another 31 percent of those affected buildings saw “minor” damage. The key Associated Press and B’tselem reports about civilians killed specifically in bombing raids on homes say nothing about the bombings occurring “at night,” and in fact nearly half of the incidents detailed examples that appear in B’tselem’s report occurred during the day. It is hard to explain why Blumenthal would invent this detail other than by noting that this is exactly what he does, though perhaps he took liberties to evoke a terrible image of people dying in their sleep. More importantly, B’tselem’s report estimated that over 70 percent of those killed in bombings of homes were civilians. It says nothing about 90 percent. And while AP said 11 percent of its subgroup were “confirmed or suspected militants,” it also made clear that “the actual number could be higher since armed groups have not released detailed casualty lists.” In short, neither B’tselem nor AP claim 90 percent of those killed in strikes on homes were civilians. pulation.” It’s a fact that any serious commentator would have to concede. But those who, like Blumenthal, don’t care about accuracy unsurprisingly care even less about context. In fact, the opposite is true. 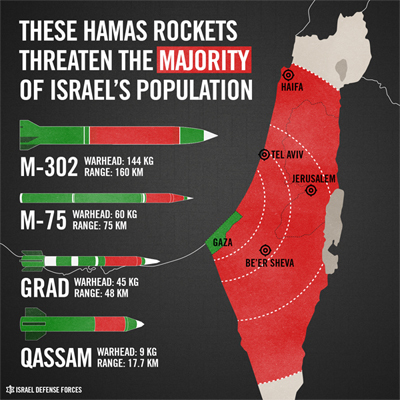 Along with the deadly but locally manufactured Qassam rockets, Palestinians in Gaza before and during the war fired hundreds of long-range and professionally manufactured Grad, M-75, and M-302 rockets. These, especially, cannot be called “homemade.” The latter carries a warhead weighing over 300 pounds. And the further they fly, the more explosive capacity they carry. Ouda Lafi al-Waj, a Bedouin living near the town of Dimona, was killed by a rocket. Blumenthal neglects to mention that countless other Israelis would have been killed, too, if Israel’s sophisticated Iron Dome anti-rocket system had not intercepted hundreds of Palestinian rockets heading toward Israeli population centers. Deif aside, a Hamas spokesperson made clear that the organization was attempted to hit the “homes” of “Israelis,” “Hebrews,” and “Zionists.” Another spokesman was even more direct, describing “all Israelis” as legitimate targets. It is an almost comical claim. “Those operating within Gaza” cannot send suicide bombers to attack Israelis because that territory is sealed off from Israel. But they certainly attack civilians with the tools available to them: Rockets and mortars that are fired into Israeli villages. And members of Gaza-based terror groups living in the West Bank continue to attack the softest of targets, including 3-month-old Chaya Zissel Braun, who was run down in Jerusalem by a Hamas terrorist. In fact, according to the United Nations and Palestinian sources, over 70,000 damaged homes have been rebuilt. Nearly a billion dollars, or a quarter of the amount pledged to Gaza by donors, has in fact been disbursed. WBEZ and its parent Chicago Public Media take listener donations and taxpayer funding while promising a commitment to “accuracy and integrity in the pursuit of facts about events, issues, and important matters that affect communities and people’s lives,” in the words of the Public Media Code of Integrity that CPM has adopted. The invitation of Max Blumenthal, with his history of outrageous falsehoods and distortions, raises the question of whether these are just empty words. Will Worldview broadcast corrections to the error-filled segment? Or will it leave listeners misinformed? Questions have also been lank>raised about WBEZ’s commitment to balance in programs, as required by the Corporation for Public Broadcasting, and this segment, in which an anti-Israel extremist and propagandist was treated with deference and given the opportunity to lecture almost without interruption, will surely add to concerns that the program gives disproportionate time to fringe critics of Israel and their falsehoods.